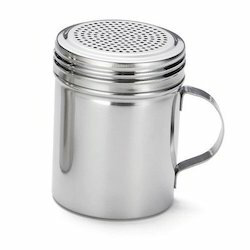 As being a customer centric organization, we are well-known company for offering finest quality range of Salt And Pepper Shaker. These products have aided us to gain huge market stake. Made by using optimal quality raw metals and mechanism, these products have gained appreciation in nationwide market for their accurate designs. Features :A. Competitive Prices help you get new clients, High Quality products help you maintain old clients. We provide high quality Salt & Pepper Bottle (Brass) made of brass with silver finish. 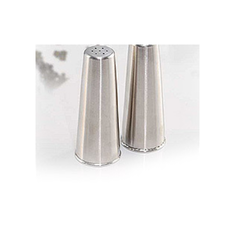 This unique designs of salt and pepper set make your dining a bit spicey and make your taste buds watery. This is a product made of stainless steel powder coated used in table ware.